This is it, last day of the San Diego Comic Con! Better make sure to hit the most memorable booths the convention has! 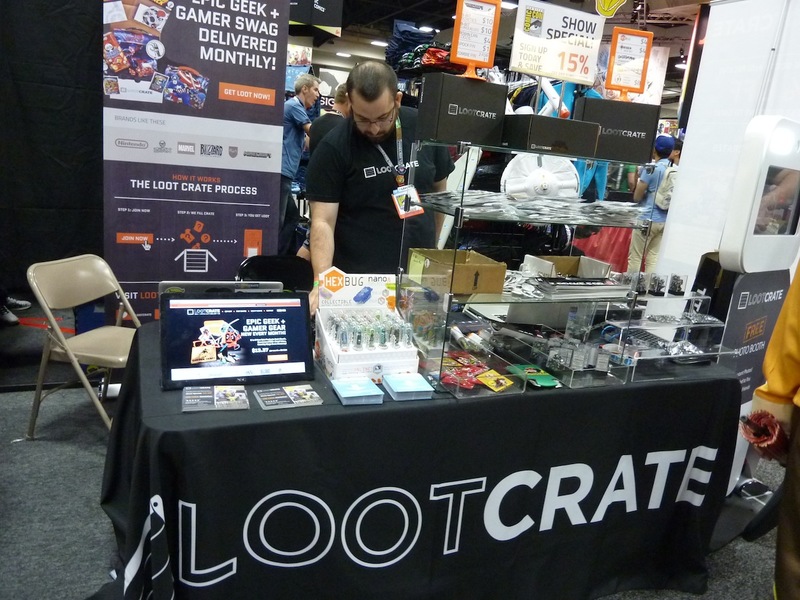 With that said, we are posting a few booths that we highly recommend checking out on Sunday, like the comic con in a box, Loot Crate! An awesome monthly service that, for a small fee plus shipping, you receive a box full of pop culture goodness. From headphone, air fresheners, figures, DVDs, t-shirts and more, the box is different each month, thanks to partnerships Loot Crate has with companies like Blizzard, Nintendo, and more! Next SDCC 2013: Saturday Cosplay at it’s Finest!